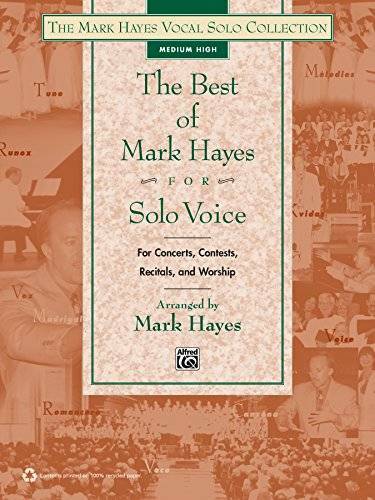 From the best-selling Mark Hayes Vocal Solo Collection comes this new compilation. Carefully chosen by Mark Hayes, the vocal solos are the "best of the best" . . . useful for concert, contests, recitals, and worship. Titles: Come, Thou Fount of Every Blessing * Give Me Jesus * Safe Within Your Arms * Marchin' on Up * My Lord, What a Morning * Joshua Fit the Battle of Jericho * The Coventry Carol * and more.